It's easy being wise after the event - and when one has a horse run out the back, that's about the best one can manage. There were certainly no problems in getting Magic Ice to settle yesterday: she was going as fast as she could pretty much from the start, so she certainly wasn't itching to go any faster. But, of course, it also meant that she had nothing extra to give in the second half of the race. I'm kicking myself because I've never seen her as a sprinter, but after she had over-raced at Kempton over seven furlongs, dropping back to six seemed at the time to be a sensible move. But, of course, it wasn't. Still, no harm done. I'd imagine that we'll have another go at around a mile, and I hope that we'll get there in the end. 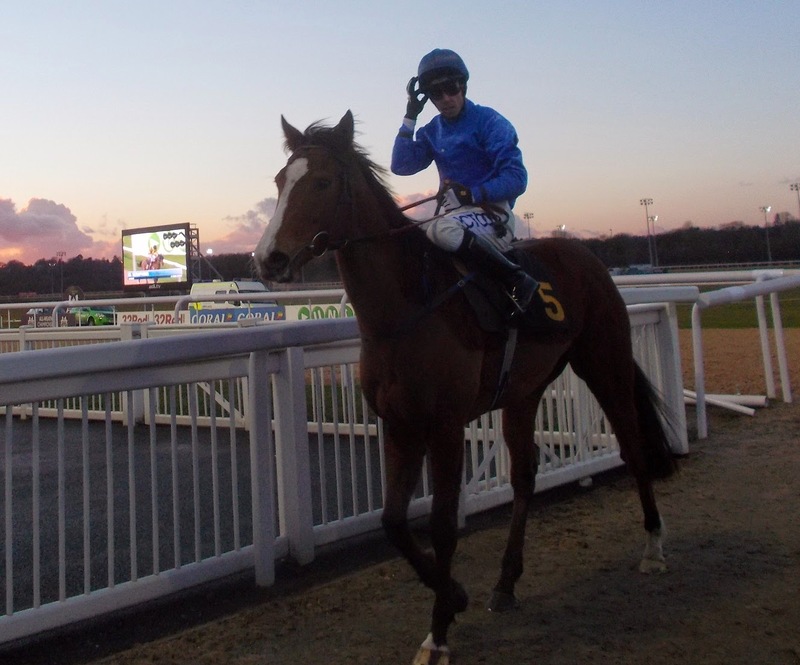 But it was annoying to have such a fruitless outing, particularly when I'd spent so long working on the assumption that she isn't a sprinter, so it really was rather stupid to drag her off to Wolverhampton for a sprint. 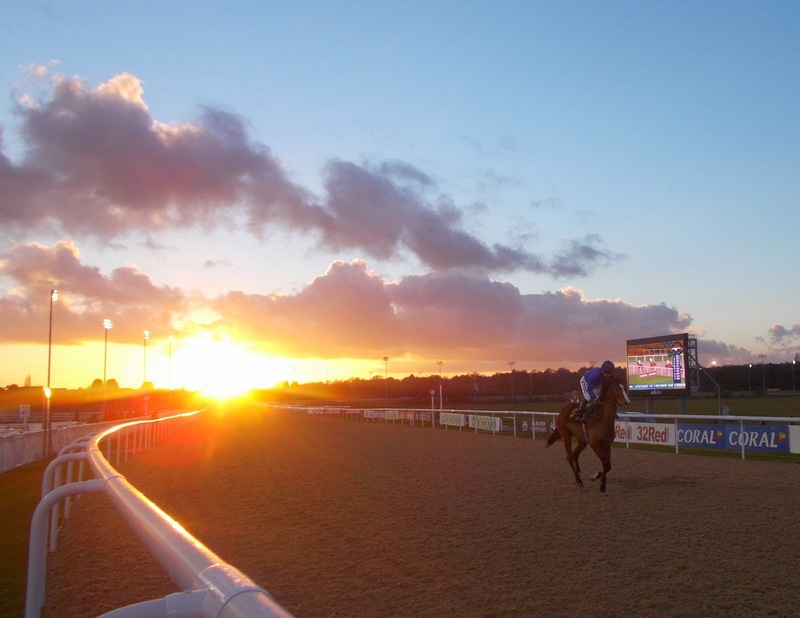 Still, we were able to enjoy an attractive sunset - with the reflection that it was lucky that it was a Flat meeting, otherwise the hurdles in the back straight would have had to have been omitted. It had the makings of a cold night there, and today has indeed been a wintry day. 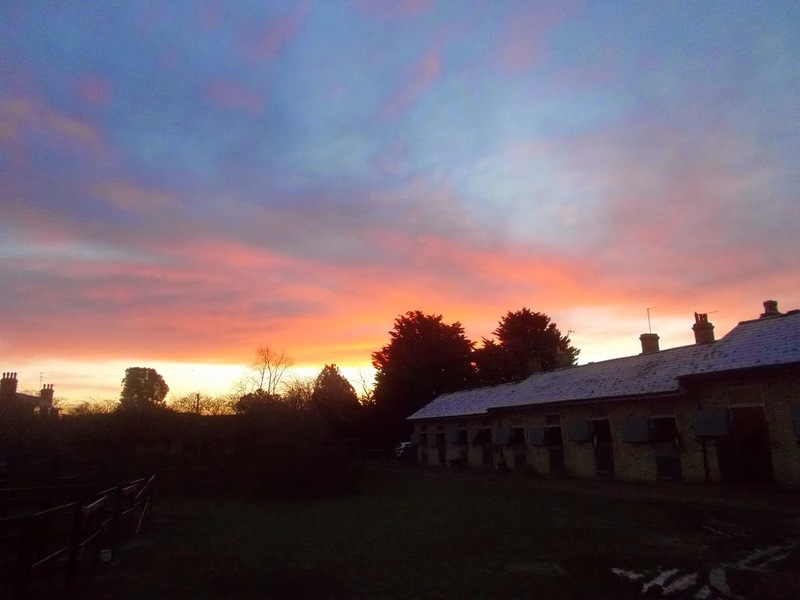 But again we have got off lightly in this part of the country, with the shepherd's warning of the dawn not leading to the grim day one might have feared. Cold, granted, and just the odd flurry of snow-flakes; but some good sunshine at one point after the early-morning frost had not been too hard, and overall not unpleasant. I hope that tomorrow is not unpleasant either, as I'll be heading down to Kempton with Fen Flyer. He ran OK last time at Lingfield in the last week of December, suggesting that a bit farther would suit. He has a bit farther tomorrow and he seems in good heart - so, as usual, we'll hope for the best.